Fling on the fake tan and your smallest bikini and get to know the new singletons - Love Island is back. On Monday, 11 beautiful people are being dropped off at a villa on the Spanish island of Majorca as they attempt to find love. And there'll be cameras in every corner to capture all the highs and the lows for ITV2 viewers. Here's everything you need to know before you watch the show... and give up your social life for the next two months. The show purpose is that the girls and boys go on Love Island to find love, but it doesn’t always end up that way for some. The Bata-winning show's basic premise is for contestants to find themselves a partner who is their perfect match - or "100% my type on paper" in the words of last year's winner Amber Davies. Couples pair up and share double beds, get to go on dates outside the villa and also compete together in challenges to win prizes. The prizes include a night in the hideaway, which is basically a secluded area away from everyone else and is totally private (apart from all those cameras of course). Sounds simple enough, but what if you don't like your partner, or even worse - fancy someone else's more? That's where the fun starts - throughout the series a number of eliminations will take place, as couples shift around and the odd ones out get sent packing. The clue's in the fact that only 11 contestants have been announced, meaning someone will be left broken-hearted at the first "coupling up" - when islanders choose who they want to be with. This year they have arrived, with the singletons including West End performer Samira, construction worker Niall and A&E doctor George. The 2017 show saw Blazin' Squad member Marcel Somerville enter the villa, and again this year there are a few contestants on the show who are already used to the limelight. Eyal Booker, who once was in boy band EverYoung, is looking for love, as is the daughter of EastEnders actor Danny Dyer... who's called Dani Dyer. There are many more attractive people waiting patiently for their taxi to the airport though, and whilst ITV2 are keeping tight-lipped on who they may be, it's sure they'll cause a stir when they eventually walk through the doors of the villa. There may be mobile phones but no social media, the old school dating is well underway. All the contestants are given phones, which they can use to message each other, take photos and receive instructions from producers about upcoming challenges. This is the only access they have to technology though - and when it comes to dating on the show, there isn't a swipe in sight. Caroline Flack that this is all part of why the show has so much appeal. "Even though it's a modern dating show, it's actually an old-fashioned way of getting to know someone," she said. "We have no mobile phones, there's no internet, no Tinder, they're actually going back to the old art of conversation to fall in love. Filming will be around the clock, but the love islanders have new rules to follow this year. One aspect of the show last year was so controversial that it was tweeted about thousands of times, attracted a number of Ofcom complaints and was even debated by the house of lords. And no we're not talking about footage from the bedroom. It's smoking inside the villa, which has now been banned by the producers, after nearly every Islander was seen having a cigarette at some point during the two months the last series was on air. Head of ITV2 Paul Mortimer said: "This year, we've got in place a plan for the smoking area to be outside the villa rather than outside the garden." Of course there still will be a camera there, just in case. This year there will be a spin off show that more love island contestants on the show. Last year, people were left struggling with the dilemma of what to do outside of the hours of 9-10pm, knowing that there was no new Love Island content for them to enjoy. 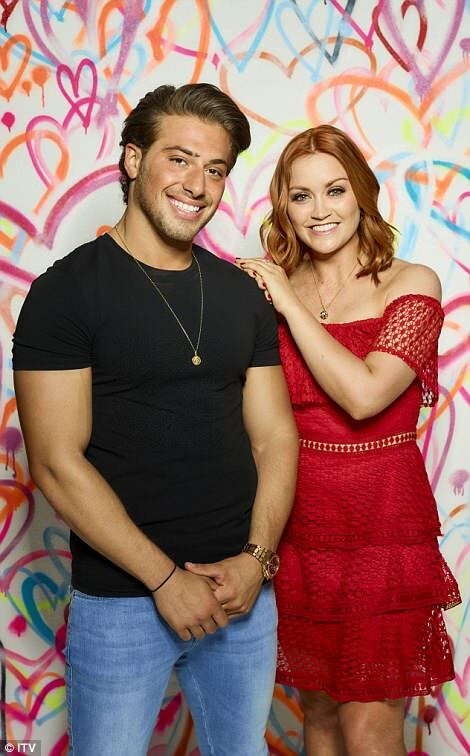 Fear not, because Caroline Flack's extra show, Aftersun, returns alongside a shiny new podcast hosted by one half of last year's winning couple, Kem Cetinay. It will be called Love Island: The Morning After and Kem will be joined by radio host and Love Island super fan Arielle Free for six episodes a week. They will call on special guests to help them unpack the events from the night before, along with providing exclusive content.